Trees work with the water cycle in that when precipitation falls onto the leaves it is either sucked into the leaf or evaporated. With deforestation this can cause an excess of water falling onto the soil and/or into rivers or streams which causes flooding. In places like the Amazon rainforest, the inhabitants get over 50% of their water from the trees, with the trees being cut down this creates a less moist area that the animals and plants are not used to which can cause their extinction. 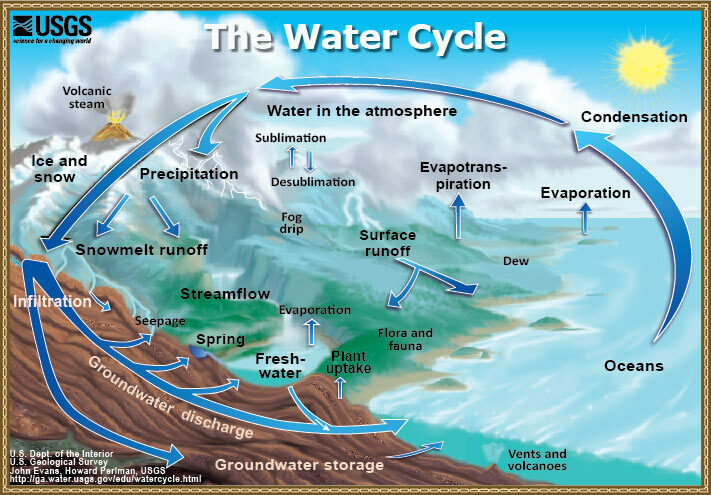 This also leads to the climate being less wet a cool to being more dry and warm which can cause erosion in the soil. 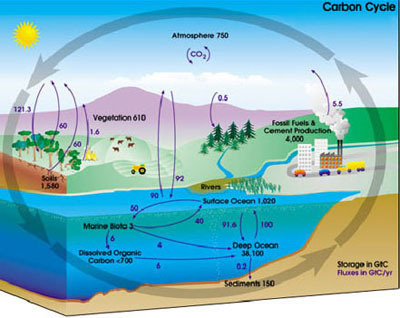 Vegetation in general plays a heavy role in the carbon cycle since vegetation stores and releases Carbon moderately. Since the start of industries and factories the amount of carbon in the air has increased by 25%, while the amount of trees in the world has decreased, especially those making up rainforest. The carbon in the air is not being released naturally and is now unable to be taken in naturally through trees because of deforestation. Carbon in the air also adds to the greenhouse effect, and it is predicted that within the next twenty years, nearly 15% of the greenhouse effect will be because of deforestation. The following graph represents how much the amount of CO2 (Carbon dioxide) in the air has risen in the past thousand years.